Healthy news and information from Triskelia Wellness. Some patients mention after beginning care that some other health problem has improved. They’re surprised. They thought of chiropractic care as only helping spinal problems. Your spinal column covers the vital nerve pathways between your brain and your body. 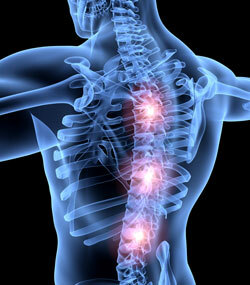 Improved nervous system integrity has been known to resolve a host of non-spinal health issues. Imagine someone with acid reflux, indigestion or some other digestive condition. At first glance, these all appear to be stomach issues. The brain controls and regulates every bodily function via nerve messages sent back and forth over the spinal cord. Interference to these messages caused by misaligned spinal bones might show up as a stomach problem. But the real problem is impaired brain-to-body communication. Correct the spinal problem and the stomach problem often resolves as well. Why? Because we resolved the underlying cause. Some say “feeling blue” comes from when ships would fly a blue flag if the captain or officer died. Regardless of its origin, depression affects about 12% of Australians—in other parts of the world, that number is double. There are drugs that treat depression. Many rely on boosting a brain chemical called serotonin. 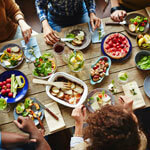 Serotonin influences mood, appetite and sleep. These drugs are known as Selective Serotonin Reuptake Inhibitors. Like all drugs, there are side effects, including drowsiness, nausea and insomnia. These unwanted effects may be worse than depression! A natural approach shows promise–exercise. Turns out, regular exercise helps ease depression by releasing endorphins, taking your mind off your worries and boosting self-confidence. Do you know someone suffering from depression? Along with exercise, suggest chiropractic. Chiropractic isn’t a treatment for depression. But, adjustments release endorphins and a feel-good hormone called dopamine. Chiropractic feels good and is good for you—physically and mentally. Bone on bone is a term that refers to a joint that has lost the cartilage normally found between the two bones of a joint. In the spine, this cartilage is a disc. A disc can thin, wedge, bulge or herniate. This is often associated with osteoarthritis, which can produce swelling, pain and difficulty moving. If the joint function is compromised for too long, the body compensates, changing the shape of the vertebra. First, by thickening and forming a lip along the edge. Eventually bone spurs can emerge, splinting adjacent bones. Like stalactites and stalagmites in a cave. Or how our body would mend a broken arm. 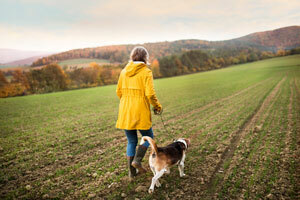 Do you know someone with joint inflammation who should see us? Encourage them to look into a conservative approach to improve joint function before relying on risky pain medication or irreversible surgery. Urge them to give us a call.